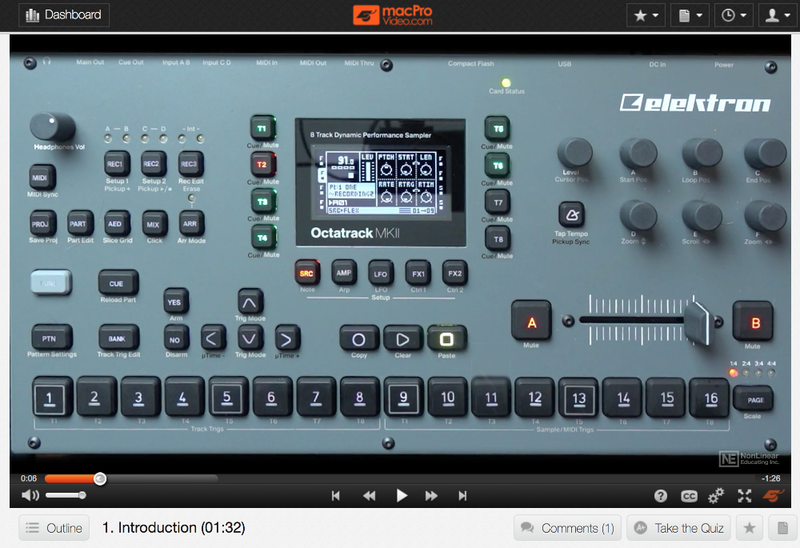 ... Thavius Beck's "Elektron 203" tutorial on MacProVideo.com. I watched this before my OT Mk2 came it and it helped me get ready, but I took the time this weekend to run through it again. A "beginner's mind" approach, you dig? And it hit me again - for all of the YouTube surfing I'd done to try to become more comfortable about this box, it's this MPV video that works for me. 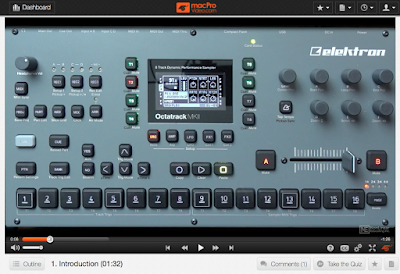 Thavius Beck, the longtime Ableton Live and Bitwig demo dude, combines his natural laid-back delivery with a beautifully-organized walk-through of the device - and of making it work for a reasonably experienced producer-type of person. He never talks down, always enlightens and really drew me in as a fan with this tutorial. Working with the OT is part of my 'daily practice' (which some of you might have heard about on my recent Podular Modcast episode), having something like this MPV video as a learning tool is a fantastic resource.